If you're wondering what to do with the grandkids on a beautiful day in Nayarit, take them to explore the best two surf shops in Sayulita: Sininen and Lunazul. 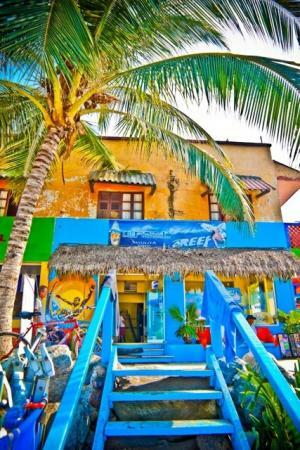 In my post with a link to a live web cam shot of Sayulita's beach, you'll see the beach from Lunazul's surf shop. Sininen and Lunazul, are both located by the main town beach, and offer shortboards, longboards, and stand-up paddleboards for sale as well as for rent by the hour, day, or week. Even if your grand children are expert surfers, it'd be a better idea to stop at one of these surf shops to rent a board and gear, since it can cost up to 75$ each way to bring a surfboard on the plane with you.